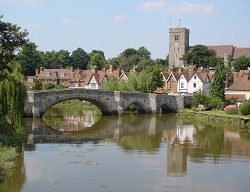 An extensive range of spa day deals can be found in the county of Kent. All of our venues offer good value spa days for under £50 per person, some going as low as only £35 per person. With each of our venues offering more complex and luxurious spa days, every budget is catered for. Within the area are sea front venues offering panoramic views over the ocean such as the Hythe Imperial Hotel & Spa and the Best Western Dover Marina Hotel and Spa. What could be better than a morning of pampering treatments and then a spot of lunch with ocean views as far as the eye can see. For a more secluded spa day, you may prefer to visit the Wallets Court Spa, nestled away in the Kent Countryside offering a haven of relaxation and peacefulness. Whilst on your spa day in Kent there are also plenty of other things to do and see. Some of the local attractions such as manor houses and castles date back hundreds of years, not forgetting the oldest brewery in Britain the Shepherd Neame. Eastwell Manor, a Champneys Spa Hotel is situated within 62 acres of beautiful landscaped gardens in Kent – the ‘Garden of England’. The stunning grounds and location with far reaching views of the North Downs make the perfect backdrop for weddings, plus celebratory events, meetings ad conference rooms. Eastwell Manor is the latest addition to the Champneys Family. Whether you’re. . .